Have you seen the big watches that hip-hop artists wear? 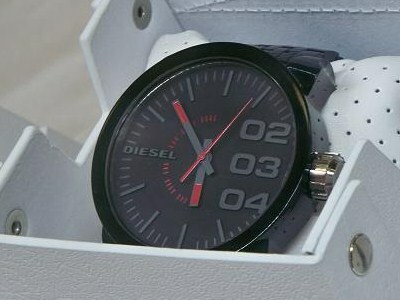 Some folks are wearing watches that seem as big as Flav-a-flav's alarm clock. The Diesel watches have cases that measure a big honkin' 67 millimeters by 59.5 millimeters. That's Huge! 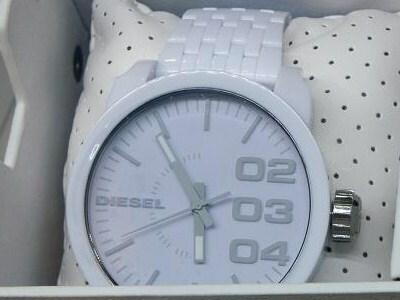 The Diesel White Out is equally striking. It draws you eye in no matter where you see it. These watches are a little too big for my taste, but if you like big watches and you cannot lie, these might be the watches for you.